The 18-year-old phenom earns a rare point at the Azteca for the U.S.
Christian Pulisic had either scored or set up Clint Dempsey for each of the U.S.’s last eight goals going into their World Cup qualifier at Mexico and just five and a half minutes into the match, he scored his best one yet, chipping the keeper from distance to put the U.S. up 1–0. 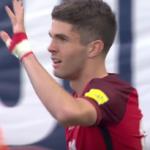 Pulisic apparently shaved his head before the match and mistakenly put on Michael Bradley’s kit, causing some confusion for the commentators, but his brilliant play was unmistakable. Carlos Vela scored an equalizer for Mexico in the 23rd minute and Bald Pulisic hit the post from distance in the second half, but the match ended 1–1, allowing the U.S. to leave the Azteca with a point for just the third time. 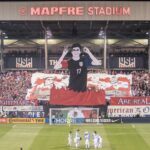 Where would the U.S. be without Pulisic and his magic right now?